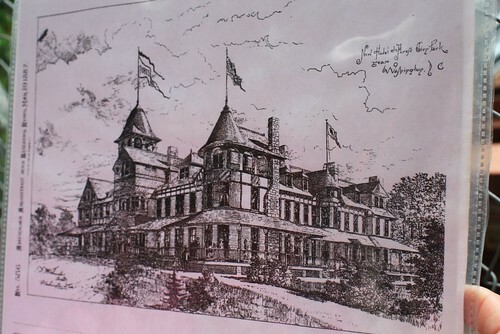 Drawing by Thomas Franklin Schneider of the original 1887 Ye Forest Inne, later the National Park Seminary's Main Building, with many additions over the years. The flagpoles and observation tower at left are no longer in existence. 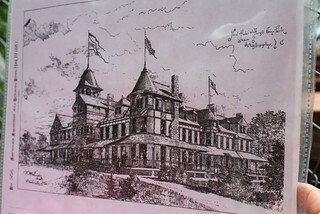 The drawing was passed around by the Save Our Seminary guide during the tour of the grounds.